An abdominal aortic aneurysm, or AAA, is a bulge or dilatation of the aorta which is the main blood vessel that takes blood from the heart to the rest of the body. The normal diameter of the aorta is approximately 2 cm. A dilatation is not officially an aneurysm until it is at least 1.5 times the size of the normal aorta, about 3 cm. AAA's come in different shapes, but most are located between the blood vessels to the kidneys (renal arteries) and where the aorta splits to supply both legs (aortic bifurcation). Most AAA's are located in the upper abdomen between the bottom of the breast bone (sternum) and the umbilicus while some will extend beyond the bifurcation into the iliac arteries. What causes abdominal aortic aneurysms? Abdominal aortic aneurysm are caused by a weakness in the blood vessel wall that develops over time. The specific cause of this weakness is still unknown but we know some of the factors that contribute to AAA formation. They are much more common in men compared to women and more common as we get older into our 60's and 70's, and can run in families. People who smoke are more likely to get an AAA compared to those who don't and those with other signs of atherosclerosis, or hardening of the arteries, like heart attacks and strokes, are more likely to have an AAA. Most small to medium sized AAAs don't cause any symptoms whatsoever. Patients will be unaware that they have one unless a physician feels one in their upper abdomen, which can be difficult sometimes, or they have an ultrasound or CT scan that shows it. As an aneurysm gets bigger, a patient may have a sense of a "2nd heart beat" in their upper abdomen. If an aneurysm bleeds, or ruptures, it is a life threatening emergency. Patients will experience a fairly sudden onset of belly and/or back pain and can feel light headed. There is no external bleeding when AAA's rupture, it is all internal. There is currently no blood test that will tell you if you have an aneurysm. If the AAA is large enough, and you are slim enough, it might be felt by your physician, but this is not that common. Most aneurysms are identified by ultrasound or CT scans of your abdomen, some of which may have been performed for other reasons and identified an aneurysm incidentally. The current guidelines recommend that all males at 65 should have a screening ultrasound. Many would recommend screening for women who have smoked and/or have a family history of AAA. In order to try to prevent an AAA, or once a small AAA is identified, it is important to live as healthy a lifestyle as possible. Don't smoke. Blood pressure and cholesterol levels should be controlled and monitored. You should discuss taking such medications as aspirin with your doctor. Generally you should try to live as healthy a lifestyle as possible to prevent such things as aneurysms, heart attacks and strokes. An abdominal aortic aneurysm will not go away on its own. If your aneurysm is less than 5.0 to 5.5 cm in diameter, your doctor may have you see a vascular surgeon who will likely recommend continued observation with CT scans or ultrasounds every 6 to 12 months. To prevent your aneurysm from growing you will be advised to stop smoking, and your doctor will help you try to control your blood pressure and cholesterol levels. You may be advised to start taking aspirin and a cholesterol lowering drug, or statin. Generally, a vascular surgeon will talk to you about treating your aneuyrsm if it grows to 5.0 to 5.5 cm in diameter. At this size the risk of your aneurysm bleeding or rupturing starts to increase. At this size it is often safer to fix your aneurysm rather than continuing to monitor it. Other factors need to be considered, however, such as your age, your general health, and your ability to withstand an operation. Open, or surgical, repair of your AAA is performed by a vascular surgeon who will make a cut in your belly while you are under general anesthesia. The aneurysm will be replaced by a man-made, synthetic tube that replaces the weakened area of the aorta. You will be in hospital for 5-7 days, on average, and it might take you 1-3 months to fully recover. This repair is quite durable with only a small chance of requiring anything further in the future. Generally, the healthier you are, the better you are able to tolerate and recover from this operation. An endovascular repair can be done under general, spinal or local anesthesia. Your vascular surgeon will make a small cut at the top of both your legs and with Xray guidance will insert a series of wires and catheters into your aorta. A stent graft will be inserted to repair the weakened part of the aorta. Your hospital stay will be 1-3 days and it will take you 2-4 weeks to fully recover. This type of repair is not for everyone, as some people's anatomy makes it impossible. Following an endovascular repair it is necessary for you to have periodic ultrasounds or CT scans to make sure the stentgraft is working well and some patients require further procedures down the road. If you are a male who is at least 65 you should see your doctor to have a screening ultrasound. If you're a female with a family history of AAA's you should also have a screening ultrasound. If you experience sudden onset of belly and/or backpain, and feel light headed, you should get to your nearest emergency department to be assessed for a possible ruptured AAA. The benefits of a tobacco free life are felt quickly. 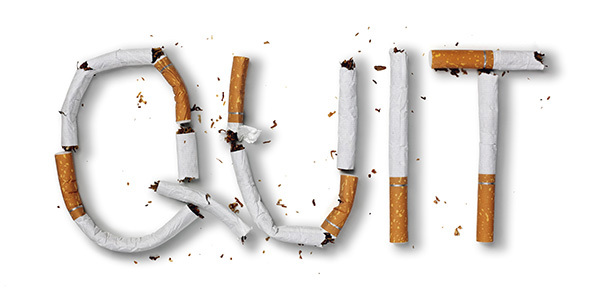 Here's a resource for smoking cessation. “The 2018 CSVS guidelines suggest all men 65-80 and all women who have smoked or have heart disease and are between the ages of 65-80 should have an abdominal ultrasound (US) to rule out an abdominal aortic aneurysm (AAA). Those older than 80 can be considered for screening, but it is important to talk to your doctor. Speak to your primary care physician or vascular surgeon to ensure you have been screened.